← Are Car Insurers’ Admin Fees Fair? As if being out of work is not difficult enough when it comes to having to find the money to pay all the household bills, why is it that car insurance premiums often tend to be higher for those that are unemployed? Well, there are a number of reasons so let’s have a look at some of them. If you are unemployed it is quite possible that you will pay more for your car insurance than if you have a job. Car insurance providers base their premiums on such things as the statistics relating to a number of factors. This could include a number of things like how old you are, where you live, the make and model of car you drive and the level of cover you wish to arrange. Unfortunately, if you have lost your job and are currently looking for another one then, statistically, you are more likely to be involved in a road traffic accident and claim on your policy. The more frequently that you drive your car then the more likely you are to be involved in an accident. If you are jobless then you may be using your car more often than if you were employed and merely driving your car to and from home to the railway station to then catch a train into the town or city where you work. It could be that you are attending many job interviews and use your car to get to and from them. Some unemployed motorists may not concentrate as much when at the wheel of their car in comparison to someone that has a job. This may be due to the fact that they may become pre-occupied with thinking about a job interview that they are on their way to attend. 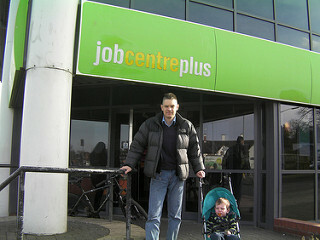 If you are unemployed then you may wish to shop around to see if you can get a competitive deal on your car insurance. This is because some insurers may assess the risk differently to others. Using a price comparison website is one way of checking the cover available and the premium payable with a variety of insurance companies. This entry was posted in News and tagged car insurance, Unemployed Car Insurance. Bookmark the permalink.